What are Lose While You Snooze Gel Caps ? Lose While You Snooze? is a natural Collagen Protein Formula, which works as a nutritional supplement as well. Lose While You Snooze? is a collagen protein based formula, dietary supplement with no drugs or stimulants. The collagen helps your body build lean muscle and burn stored body fat. Take three capsules on an empty stomach( at least three hours after your last meal) and just before you go to sleep at night. Lose While You Snooze? allows you to eat normal foods. There are no special foods to buy or eat you simply use moderation. 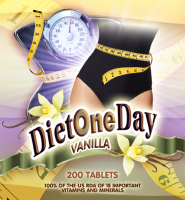 YOU CAN EVEN TAKE IT ON AN EMPTY STOMACH DURING THE DAY TO MAKE YOUR DIETING EXPERIENCE GO FASTER. This Product does not stimulate, starve, or trick your body into losing weight. . It simply supports your body's lean muscle tissue and fuels your body's natural mechanism in burning off excess fats and sugars much more efficiently. In addition, Lose Weight Tonight may boost your energy and stamina as well as improve your sleeping habits. Lastly, but not at all least, Lose While You Snooze? also assists in repair of connective tissue and therefore many people will find themselves more and more pain free with each day they wake up; AND losing weight. Why should I choose Lose While You Snooze? ? Lose While You Snooze? does not contain any harsh chemicals or stimulants that can harm the body and leave toxic buildup. There are no jitters or hunger pangs but simple ingredients, in a proprietary blend, to best assist the body in a natural weigh loss process. Lose While You Snooze? provides you two distinctly different options but both with the powerful ingredients and proportion you are looking for in a collagen weight loss product. The added benefit of Lose While You Snooze? is that all these great benefits come while you sleep. You do not have to be faithful to a diet but rather to abstaining from food only before bed. Lose While You Snooze? is not a fad diet either. Your body needs collagen to form healthy building functions, to burn fat, to gain lean muscle and to allow peaceful, restful sleep. does not stimulate, starve, or trick your body into losing weight . . . . It simply supports your body's lean muscle tissue and fuels your body's natural mechanism in burning off excess fats and sugars much more efficiently. Hydrolized Marine Life Collagen Protein, Aloe Vera, Safflower Oil, Lecithin and Beeswax for the coating. 90 gel caps per bottle - Serving size = 3 capsules taken on an empty stomach, preferably before bed. ©2004 - 2019 The Diet Workshop. All rights reserved.� Statements have not been evaluated by the Food and Drug Administration.� With any dietary change you may want to talk to your doctor.